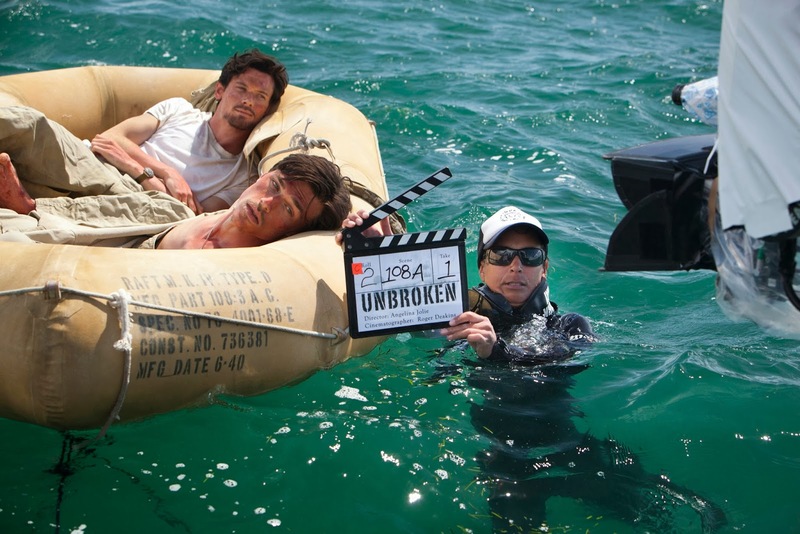 “Unbroken is the true story of Louis Zamperini, a former Olympian whose plane crashed at sea during World War II. Zamperini (Jack O’Connell) and two crewmates (Domhnall Gleeson and Finn Wittrock) floated adrift for 47 days and 2000 miles, he was caught by the Japanese Navy and sent to a POW camp where he was specifically targeted by a sadistic overseer. They’re currently filming on location far out at sea in Moreton Bay, Australia. The release date of Unbroken is set to December 25, 2014.